Group Discussion Ideas > Social GD Topics > Can World Peace be achieved? When there is happiness, freedom and peace among and within all nations and people, we can say that the whole world is at peace. Modern world is more peaceful than the ancient societies. In the past, there were wars between kingdoms, occupation of kingdoms was common. Most of the countries were monarchial. But now, democratic form of governments prevail. Everyone has basic rights. And wars are very rare. So, the world is moving towards peace. Now, every country depends on one or more other countries for trade and support. As long as there is mutual benefit and co-dependence, peace prevails. Increasing intelligence results in more understanding and tolerance to differences. When everyone in the world attains high level of intelligence, world will be at peace. 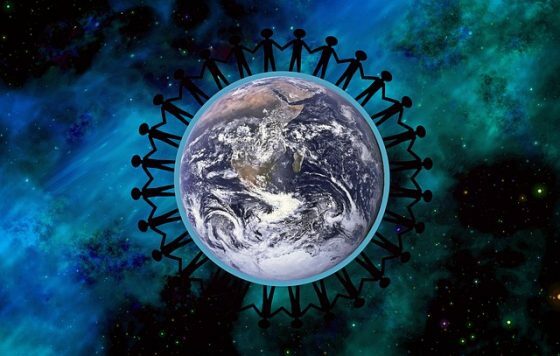 Increasing globalization results in the feeling of unity and brotherhood. These days people are respecting humanity more than religion and their place of origin. So, there is less scope of war. Modern world is turning into more materialistic and greedy, unlike the simple lives in the ancient societies. This is resulting in stressful lives lacking peace. Not all countries have equal power. Until nations try to dominate each other, peace will be a pipe dream. Even if peace exists among nations, achieving complete peace within nations impossible, because there will always be criminals so do crimes. No two individuals agree with each other on everything. Then how can world be at peace, with a lot of different opinions and thoughts. Freedom of speech and peace are quite contradictory with each other and cannot co-exist. Though wars are very rare in the modern world, hate always exists between rival countries, which results in indirect wars. There is no peace and democracy even in ‘United Nations’, hence world peace is impossible to achieve. Though ‘International Day of Peace’ or ‘World Peace Day’ is celebrated annually on 21st September, world peace seems impossible to achieve in the near future. But there is always scope to build a better and happier world. Afterwords :- Do you think world peace can be achieved? Express your thoughts in the comment section below.